Editor’s note – The criteria for our male and female athlete of the year are the same as they have been in previous years. We are looking for multi-sport athletes who have excelled at the highest level in at least two sports, and if possible, three sports, during the high school sports year. In a time when the pressure on young people to specialize in one sport or another is at an all-time high, athletes like Jaren Hall are the exception. 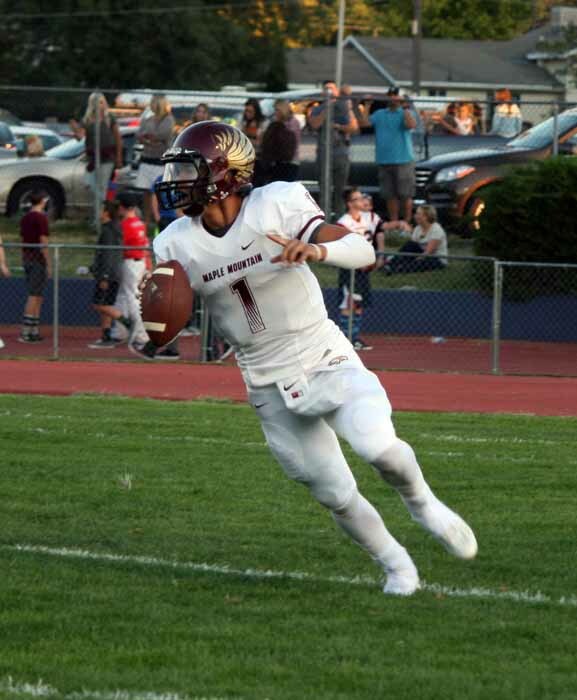 He is not just a three-sport athlete, but he excels in all three – football, baseball and basketball. 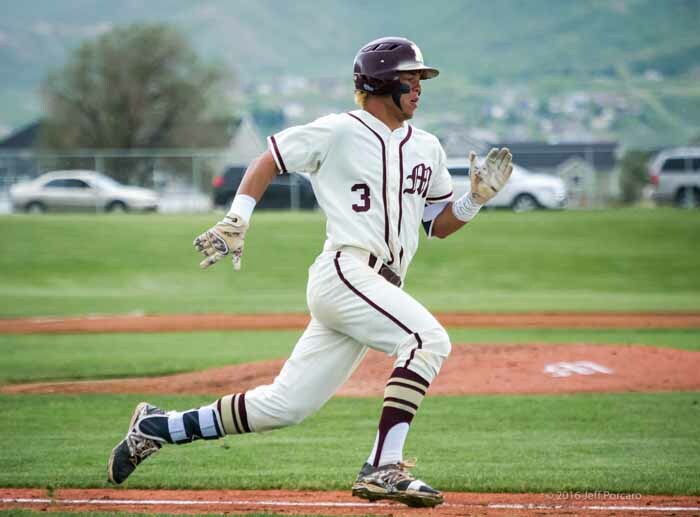 Hall’s success in all three sports over the course of an amazing four-year high school career, capped off by a sensational senior season, makes him our 2015-2016 Preps Utah/TOSH male athlete of the year. Sports is a big part of life in the home of Kalin and Holly (Hamilton) Hall. Jaren’s father is a former football player at Brigham Young University and his mother was on the school’s gymnastics team. Their children are gifted athletes and learn many of life’s most valuable lessons through things they experience on the fields of competition. Two of those sports will continue to be part of Jaren’s life after he returns from his two-year mission for The Church of Jesus Christ of Latter-day Saints in Roseville, California. In addition to signing a letter-of-intent to play football at BYU, he will also be continuing his baseball career at the school. With sports as a classroom, the Hall kids have been schooled by their parents about the most important things in life, including the value of doing hard things. For Jaren, those things have been reinforced by his active participation in the Especially for Athletes program, developed by the same man who has tutored him as a quarterback over the years, Dustin Smith. “Growing up, all my life, it’s always been in my household, first things first, you’re going to be a good person, then sports will come into place for you,” Jaren said. “That’s exactly what Dustin brought and he brings it with such power that if you are even paying attention, you’ll understand. His program is about us athletes with what he calls ‘the sportlight,’ with all the eyes on us at this time, to make the best of that, not just for playing but being good examples out in the public, being good kids and showing that athletes aren’t what you see in the movies and in the magazines, but we can be good people and make changes off the field as well as on. That place in the sportlight will go with Jaren as he spends the next two years teaching the people in the California Roseville Mission about Christ. He entered the Missionary Training Center in Provo June 8 and headed to California three weeks later. For him, there was never a doubt that he would set aside his helmets, bat, glove and balls to serve a mission. Athletic competition has taught him many things that he says will go with him as he heads out to serve, but perhaps the greatest lesson is the one that was reinforced in that Week 2 football game this past season, that he is not alone. Many of those lessons have come for Jaren through his time on the football field. While he has seized every opportunity to work on his game in all three of his chosen sports, his most concerted effort has come in his training to be the best quarterback he can be. His success there has come with many ups and downs. His senior year on the gridiron started with so much promise but ended with him standing on the sidelines watching his friends compete without him. “We were 6-1, we should have been 7-0, but that’s the way it goes in high school football,” Jaren said. “We lost one, a tight one, but what do you do?. We were riding high, we were up there and then unfortunately, I got hurt again. It’s funny, the last three years, I’ve never finished a game against Wasatch. Sometimes statistics are wonderful things, but the numbers don’t really tell the story when it comes to Jaren Hall. You have to watch this 6-foot-1, 210-pound young man play to appreciate who he is as an athlete. 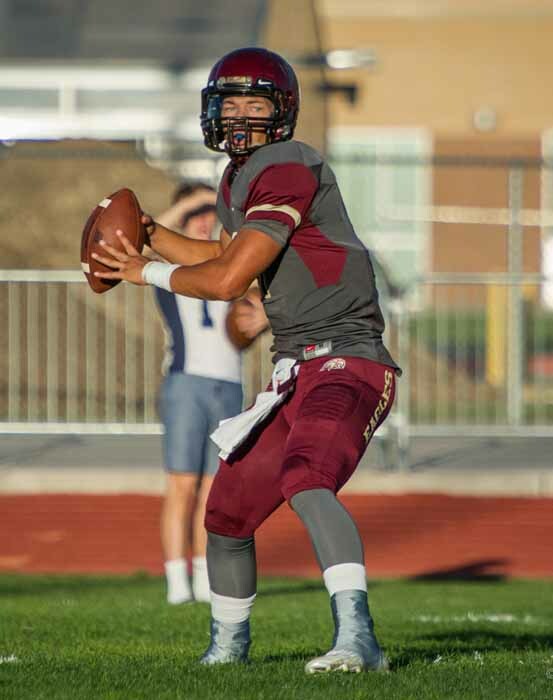 The Corner Canyon game, the Springville game the next week that Maple Mountain lost after the Red Devils blocked an extra point, were just two of the many examples when Jaren made big plays in the largest moments. His high school football coach, Brad Burtenshaw, certainly recognized the kind of clutch performer he had under center. It was the thing he appreciated most about Jaren. “As you can tell, he does a great job under pressure and it doesn’t really bother him,” Burtenshaw said the day after that Springville game. “It’s really ideal to have a kid like that at quarterback. 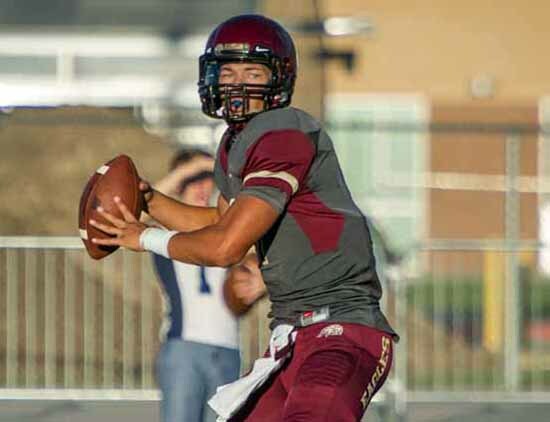 Two years from now, Jaren will come back to chase his dream to be the starting quarterback at BYU. While some speculate about the possibilities of a position change for an athlete like he is, he says there has never been any discussion with the coaches about anything other than playing quarterback. He sees the current quarterback situation at BYU, with a pair of outstanding players on the roster for next season and says his playing style falls right in the middle between that of Taysom Hill and Tanner Mangum. 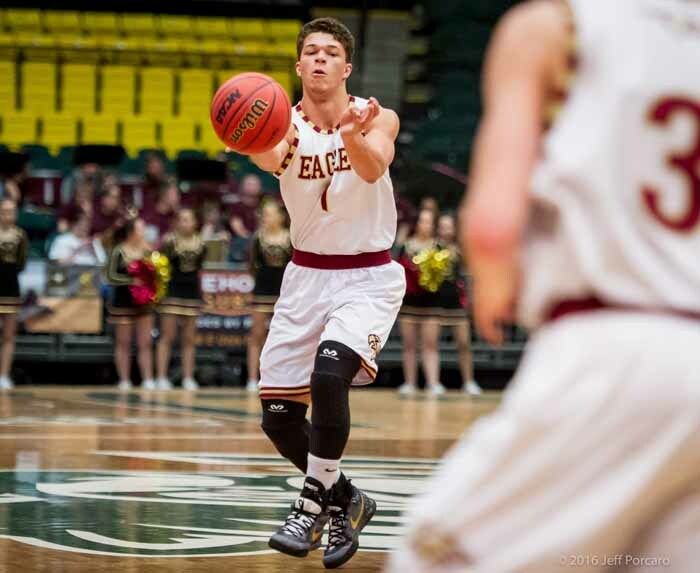 After initially committing to BYU during his junior year at Maple Mountain, Jaren got a lot of attention late in the recruiting process and he decided to take a second look around in the months before signing day. Then, with the coaching change at BYU and a new round of attention from other schools, things got a little more intense for Jaren. In the end, he always knew where he wanted to be. “This last summer, going out to camps and getting back on the field, in the recruiting process and seeing other teams, I realized this is such a big decision for me, for the next five years of my life…it got a little bigger for me,” he said. “I started talking to more schools again and when it came down to crunch time, the coaching change came and that kind of opened me back up. I went back to Utah and here and there, and Arizona State, and it was kind of getting wild again. Though his primary focus has been on football, Jaren finds that the three sports have much in common. He has learned the value of confidence and consistency and of controlling his emotions. Jaren thinks people would be surprised to hear that the most fun he had in game competition during his high school career actually came on the basketball court. While he has always loved baseball, the realization that he could have more of a future in that sport came to Jaren kind of late. It’s one of the reasons he loves the idea of being a multi-sport athlete. Jaren’s baseball skill set fits the “five-tool player” description that has been used to describe players who are outstanding at five distinct areas of the game – hitting, hitting for power, running, fielding and throwing. That said, what he loves most about the game is the brotherhood that exists in the game, particularly with his team at Maple Mountain. So what does the future hold for Jaren Hall? Jaren has big dreams but also seems well grounded with a perspective when it comes to the role of sports in his life. “There’s adversity in all things, life and sports,” he said. “The fact that we can come together and help each other out, it means a lot and it shows that there’s a lot of good behind that. It’s not just to go out and be highlighted just to feel good about yourself, but there’s growth that can come from that and lessons that can be learned when you figure that out.